3 years ago, our hairless dumbo rex rats, Fuzzy and Wuzzy, won second place in a beauty contest. Just kidding! If it had been a beauty contest, it would have been FIRST place! Three years ago, our Fuzzy and Wuzzy Rats won second place in a national Fourth of July pet photo contest. They placed after an adorable baby Bulldog, which I thought was very impressive! 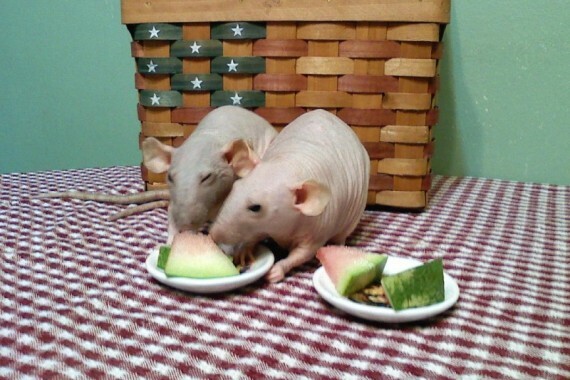 Here are the pictures of Fuzzy and Wuzzy eating rat-sized watermelon slices in 2010. Wuzzy (left) and Fuzzy (right). Fuzzy wanted to know if Wuzzy’s watermelon was better. Fuzzy decided Wuzzy’s watermelon WAS better. 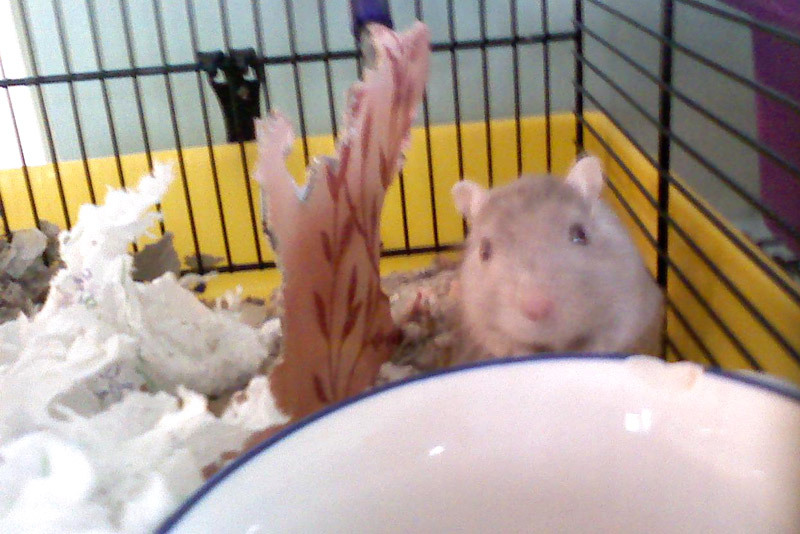 Wuzzy continued munching her melon while Fuzzy checked out the camera. Hello, Fuzzy! You can read about Fuzzy and Wuzzy Rats in the Wuzzy Chronicles of Omaha.net – Wuzzy Rat, Part 1 HERE and Wuzzy Rat, Part 2 HERE. I am SO excited about my newest writing project! I have been working with CareFRESH for a little over a year, and the team decided to start a blog on the website. I love it! With this project, I will be less able to just go with my random kicks, and need to focus on themes and schedules and such much more than I do here on Riley and James, which, honestly, will be very good for me! I am fairly disciplined, but (I have only ever told Russ this, and just very recently…) a large part of my discipline is extrinsic. For example, I love having a made bed every morning, but if FLYLady did not tell me to make my bed, I probably would not! I love being a veterinarian, but if I had not had the structure of veterinary school, I would not have learned all that I have. And I love writing about environmental enrichment of <hamsters>, but if I were not led to write about it, I probably would not! I will write somewhat shorter posts than what I normally write here, focus on small pets – rats, guinea pigs, hamsters, gerbils, mice, rabbits and ferrets – and send the team every single picture I have of Fuzzy, Wuzzy, Princess and Piggy! Feel free to send cute pictures of your Warm Fuzzies too! I will let you know where on the CareFRESH website the blog is as soon as I know. It will probably attract a similar crowd to the Ask-a-Vet part of the CareFRESH website (kids and adults who are in love with small pets – two of my very favorite subsets of humanity!) It will be an interactive blog, which will be very fun. I hope you will come join me as often as you can! Happy Weekend All! I have been watching Two Little Cavaliers and their friends do the Saturday Blog Hop for a while and have been trying to figure it out. 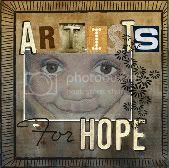 I joined Dr. V’s Blog Hop when she suggested we all post our favorite blog posts of 2010, and that was fun. The Saturday Blog Hop looks like a wonderful way to meet other pet lovers. I thought I had met all of the Pet-Loving Awesomes out there, but apparently I have not yet found The End of The Internet. So if you are visiting Riley and James from the Saturday Blog Hop, thank you for stopping by! Nice to meet you! And if you are already a friend of Riley and James, thank you too. I think you are all great. OK, so Fuzzy and Wuzzy are not part of our current herd, but they JUST passed away, and I am not ready to take them out of the lineup yet. That’s Wuzzy in the background and Fuzzy in the foreground, from July 2010. Weren’t they gorgeous?? And so sweet too. They are Hairless Dumbo Rex rats. Nice to meet you all! 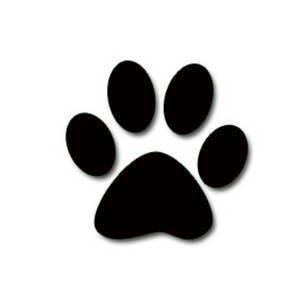 I will spend THIS week coming to see your pet blogs! Monday, January 10, 2011 “Pet Blogger’s Challenge” from Edie of “Will My Dog Hate Me?” and Amy of “Go Pet Friendly” (both of whom are awesome and have been mentioned here before!) I’m in – these group projects are fun! Our hairless rats passed away recently. I have had (and have) pets as wonderful as these two, but none better. Goodbye Fuzzy and Wuzzy Rats. We love you, and we will miss you very much. My last story about Fuzzy and Wuzzy was just published on Omaha.net. The link to the story is below. Maybe I will write a remembering or looking back sort of story later (or a photo story – that would definitely be the cutest choice…) But in Real Life, this is the last chapter. I am really not ok with that. Time for a poem. Time for THE poem! All together now! Fuzzy Wuzzy wasn’t fuzzy, was he? This week I am working much more than usual! The kids are back in school full swing and starting fall activities. Russ’ company (J.T. Builder’s, where he is a carpenter) is closing tomorrow, but he already has some leads on new career opportunities. God always takes care of us. I don’t suppose He will drop us now. I love my crazy, busy life, but it is taking all of my writing time! She is on antibiotics and antiinflammatories, and responding well. She even started walking yesterday! Still could be bad, but I am hoping she is either dealing with a severe inner ear infection or idiopathic vestibular disease. Idiopathic means “unknown cause” (same base word as “idiot” – ha!) The vestibular system deals with balance. Idiopathic Vestibular Disease is fairly common in dogs, so it would not be unheard of to occur in rats, though I have never dealt with it before. It is basically a diagnosis of exclusion – if it is not something else, it may be Idiopathic Vestibular Disease. In dogs, it has a good chance of resolution, so here’s hoping for Old Ratty Vestibular Disease! I would never wish an ear infection on anyone, but I would be ok with that diagnosis too! Get Well Really Soon Small Rat! Tuesday, July 20 was another day of Camp Kindness, a day camp for kids at Nebraska Humane Society. You know I am super neurotically protective of kid pictures, and Camp Kindness is all kids everywhere…which means of course, more pictures of Fuzzy and Wuzzy! Still, I didn’t want you to think I ONLY ever take pictures of my gorgeous rats, so I also took one of Kerry Ecklebe, the Director of Humane Education at Nebraska Humane Society…um, holding a rat. OK, so maybe I am obsessed with my rats! There are worse maladies to have! Kerry is a class act, and one of my favorite people. NHS is blessed to have her! July 5, 2010 As far as I know, all the pets in my life got through yesterday with just a little nervousness. Great job pet parents! PLEASE vote for Fuzzy and Wuzzy for cutest pet in Banfield’s Pet Photo contest! Silly as it is, I LOVE pictures of our rats, and these ones are really cute. The other pets entered are very cute too, and you can vote for as many as you want. I voted for all of them, because, as you know, I have yet to meet a non-cute pet! To vote: Go to Banfield’s Facebook home page, and “like” Banfield. Scroll down to Fuzzy and Wuzzy’s picture and “like” their picture. Thank you so much!! How fun. July 17, 2010 Thank you everyone for voting for Fuzzy and Wuzzy! They won third place! Woo! Not bad for a couple of ratties, huh? This week I spoke at Camp Kindness, a day camp for kids at Nebraska Humane Society. I love doing it! This is my third summer visiting Camp Kindness with my Hairless Dumbo Rex rats, Fuzzy and Wuzzy. I told the leaders of Camp Kindness that they are stuck with me and I will show up every summer whether they ask me to or not! Ha! Being such an introvert, it is SUCH an exhausting day. I am not normally much of a public speaker, preferring to educate pet owners either in writing or one-on-one in the exam room, and even that does not come easily. But I love people and pets SO MUCH and maintaining and restoring pet health is so important to me, that it is all very rewarding. Anyways, enough of my blah-blahing, on to what you probably came for: PICTURES OF FUZZY AND WUZZY!!! And a couple of Josie, the super cute, super sweet therapy dog! She looks a little like our Ebony Dog, and the rats just love her! Thank you to Nebraska Humane Society and the Camp Kindness team for making this such a special event! And thank you Omaha.net and Carefresh for the fun reading material for the kids!